WARNING: Lots of spoilers ahead for “Game of Thrones” season six. Season six of “Game of Thrones” came to an end Sunday night and it left fans reeling from gruesome deaths, unbelievable twists, and finally the long-awaited confirmation of a major fan theory. Nearly every single scene from this season six, episode 10 “Winds of Winter” was a winner. Let’s break down all the exciting things that just happened in that final episode. Uh oh Pycelle, I think some little birds want to speak with youuuuuuuuuuuuuuuoooouououououuouuu. Tommen committed suicide by jumping out of a window, much like Jaime pushed Bran out a window at the end of season one. Not only that, but it finalised a prophecy from the books that all of Cersei’s children would die before her. Arya murdered two of Walder Frey’s sons and served them to him in a pie before cutting his throat and watching him bleed to death in front of her just like he had Catelyn Stark’s throat slit at the Red Wedding. Sweet, sweet Stark justice. We finally got the final Tower of Joy vision we’ve been waiting for from Bran. In it, Ned enters the Tower and is reunited with his sister Lyanna who had just given birth to a baby and is on her death bed. That baby? Jon Snow! 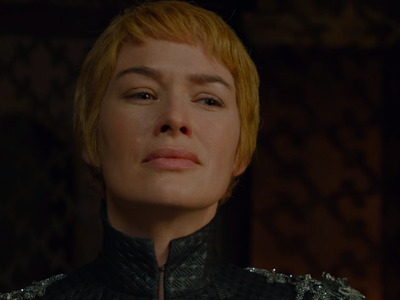 Cersei made herself queen of the Seven Kingdoms, much to Jaime’s surprise and seeming dismay. On the whole, it was an epic end to one of the best seasons of “Game of Thrones” yet. And fans agreed, and already can’t wait for next season where women like Daenerys Targaryen, Cersei Lannister, and Sansa Stark will all dominate the battle for the Iron Throne. Sadly, we have about 10 more months until season seven of “Game of Thrones.” Stay hype.